World Chess Federation (FIDE) | Uniting seven federations of the traditional mind sports : Chess, Bridge, Draughts, Go and Xiangqi with over 500 National Associations and close to one billion players. Founded in Paris on 20 July 1924, the World Chess Federation (Fédération Internationale des Echecs – FIDE) is the supreme body responsible for the organization of the game globally. There are 165 national federations in membership covering all continents with 800.000 affiliated members. The FIDE was recognized by the IOC in June 1999 as an International Sports Federation. 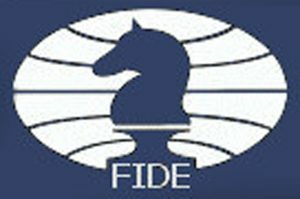 In 2005 the FIDE became a full member of the GAISF. Apart from the organization of World Championships, FIDE has an active programme for assistance to chess developing countries. Emphasis is also given to the benefit of chess as part of the education system. The Royal Game of Chess. Originally the game of kings, chess today is a sport for all. Sixteen white pieces battle against 16 black pieces on a board of 64 squares. The purpose and aim of FIDE is the diffusion and development of Chess among nations of the world, as well as the raising of chess culture and knowledge on a sporting, scientific, creative and cultural basis level. Chess is played at schools throughout the world. Some of the scholastic events in places like Russia and USA involve very large numbers.